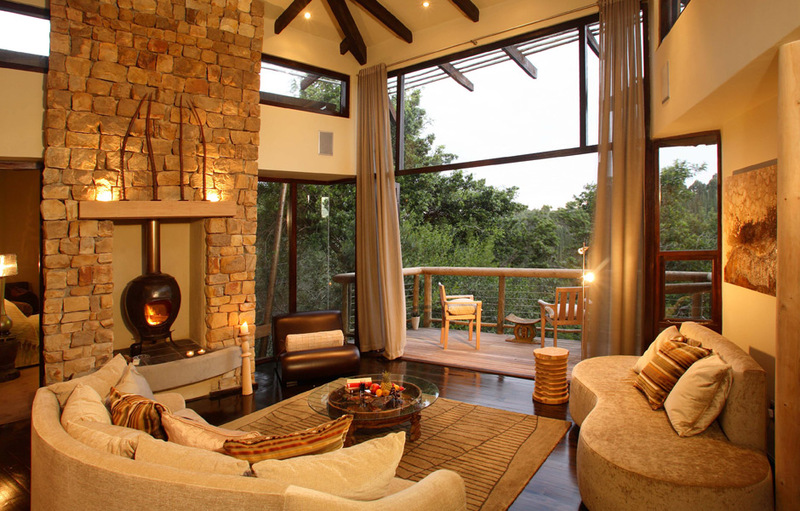 A stay at Tsala Treetop Lodge is a once in a lifetime experience that should be on everyone’s bucket list. 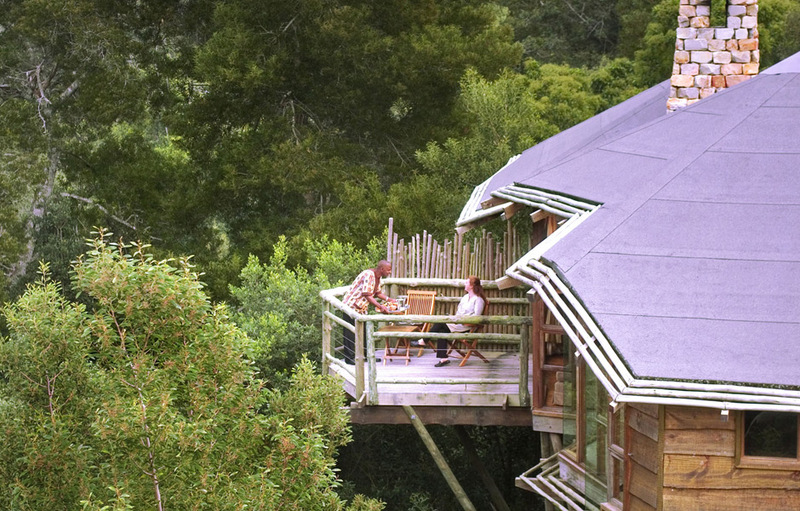 Nestled high in the ancient indigenous forest canopy between Knysna and Plettenberg Bay, this gorgeous afro-baroque masterpiece draws its inspiration from the diverse cultures of Africa. The hotel’s stone and masonry entrance is impressive and the polished black wood pillars and handcrafted fittings hold much promise for things to come. Elevated wooden walkways wind their way between the trees providing easy access between the main lodge and the guest suites. Tsala is a member of both Relais & Chateaux Association and the Chaine des Rotisseurs. Enjoy breakfast in the breathtakingly beautiful glass-walled breakfast room or on the stunning forest dining decks. Zinzi Restaurant offers diners a relaxed yet luxurious culinary experience. The decor draws its inspiration from a global tribe, with beautiful carvings and metalwork of India merging seamlessly with the tribal Suzani textiles. Unique mud chandeliers light your way as you peruse the a la carte menu based on honest cuisine with zesty ingredients. Tsala Treetop Lodge offers its guests the opportunity to picnic outside in the fresh air, enjoying a bonding experience with nature. 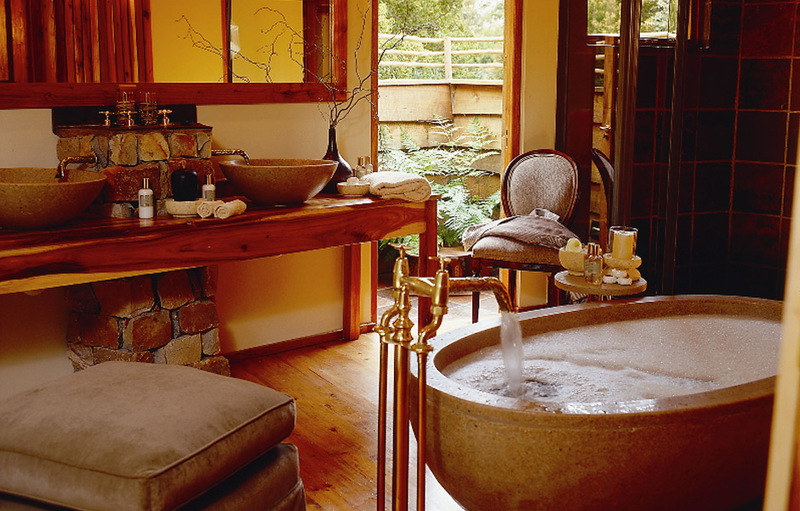 Relaxing pampering treatments are available on request in the privacy of your suite. Treatments available include; Aromatherapy Massage, Holistic Massage, Holistic Back, Neck & Shoulder Massage, Hot Stone Massage, Reflexology, Shiatsu and Indian Head & Shoulder Massage. 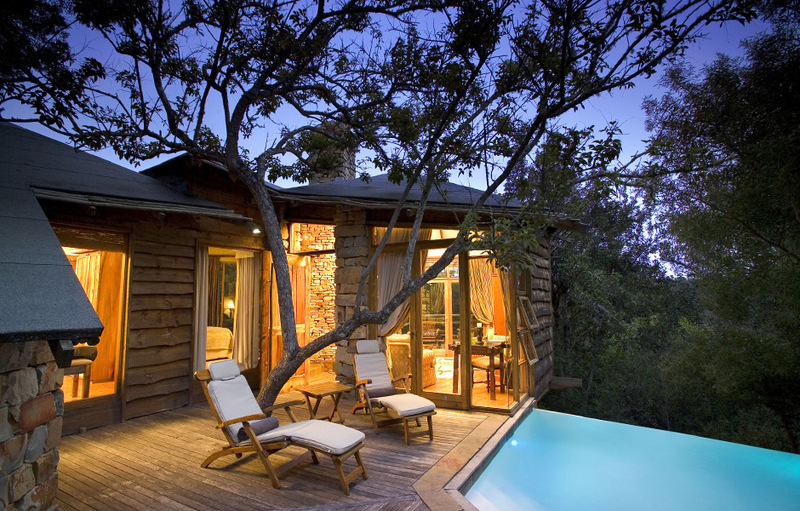 10 Treetop Suites – these hideaway suites ooze opulence and romance. 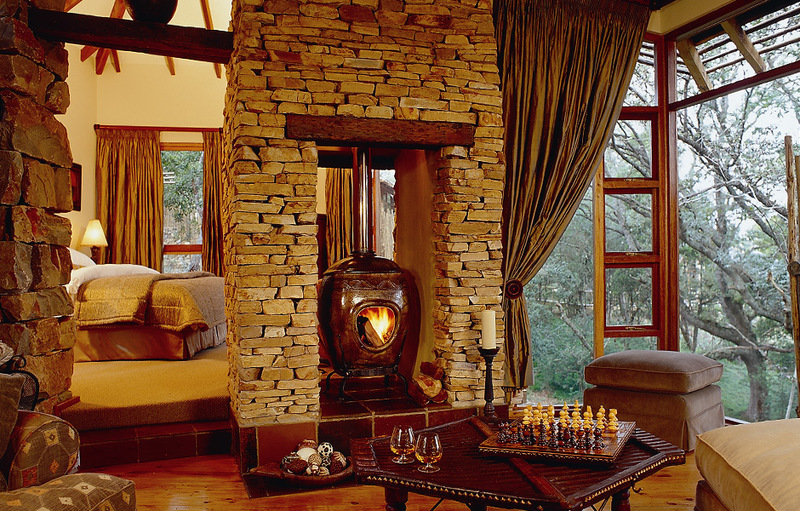 Constructed from stone, wood and glass amenities include a decadent bedroom, spacious en-suite bathroom and elegant sitting room with fireplace. Each suite has a private deck extending into the forest, perfect for lazy summer days reading a good book, or dining al fresco in the privacy of your own suite. Guests will also enjoy the luxury of their own private infinity pool. 6 Tsala Ridge Estate and Treetop Villas – these contemporary luxury two bedroom villas compliment the style and architecture of Tsala Treetop Lodge. These air-conditioned Villas boast expansive lounges with television, DSTV and surround sound, kitchenette facilities, and private private decks with plunge pools. The double bedrooms are of equal size and appointment and each has a luxurious en-suite bathroom with separate toilet indoor and outdoor shower.